This is my second baby so it's my second hospital bag, the first was more of a suitcase than a bag and I took way too much. This time, I've got a four year old who hates shopping and I'm 30 weeks pregnant so I am not feeling keen on hunting around for all the little bits especially with swollen feet so I loved the idea of a pre-packed hospital bag and this one is actually great! 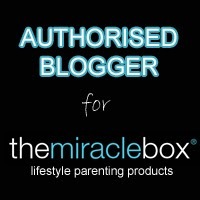 TheMiracleBox sell a large range of items including bags, tens machines, birthing balls and kids items. 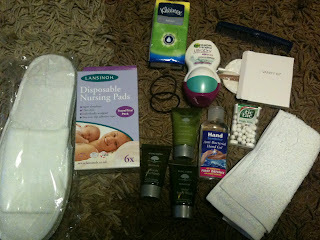 Some people like the idea of packing their own bag which I think sounds lovely but I'd prefer to pack the personal bits myself like baby's first outfit and let someone else worry about the more boring but essential items so I was delighted when this lovely pre-packed stress free hospital bag was sent to me. This bag is pretty and also it's actually a baby changing bag at the same time as being big enough to be your hospital bag containing enough for a 48 hour hospital stay - which means you can use this bag afterwards as your baby changing bag saving you money on having an extra bag for hospital that you won't use again! A little bit about this bag - It's really pretty at the same time as not being too girly, its easy to keep clean which can prove a problem sometimes with changing bags but this one will just wipe clean meaning you can keep it looking new for longer. It's a generous size with one central zip compartment, two magnetic pockets at the front, one has a key holder inside which would be so useful and avoid you having to hunt the whole bag for your keys! Side pockets for bottles and internal pockets which are zipped and net, it also has a strap that is long enough to put over shoulder at the same time as being adjustable so you can just hold it or put it on pushchair handle. 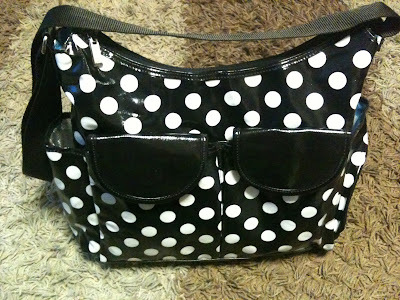 Size of this bag: W:44cm D:16cm H:35cm. I couldn't wait to see how this bag would fit everything I needed for hospital, I didn't think it would be big enough and I was really surprised at how good it actually is. Included in the hospital bag is everything you will need for a 48hr hospital stay, already packed in a bag for your saving you time and meaning you just need to add personal extras, it's lovely how they have even thought of slippers and tic tacs! 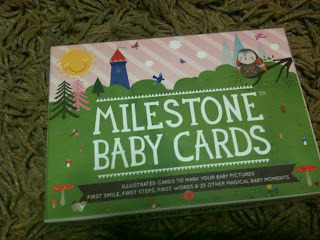 If you're thinking of buying someone a changing bag as a baby present, then this would make a lovely gift for someone. They will get a great bag at the same time as taking some stress away by helping them to start there hospital bag. 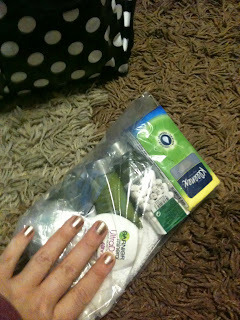 Which has all fit very nicely into this small clear plastic bag making it easier to find when it's needed. 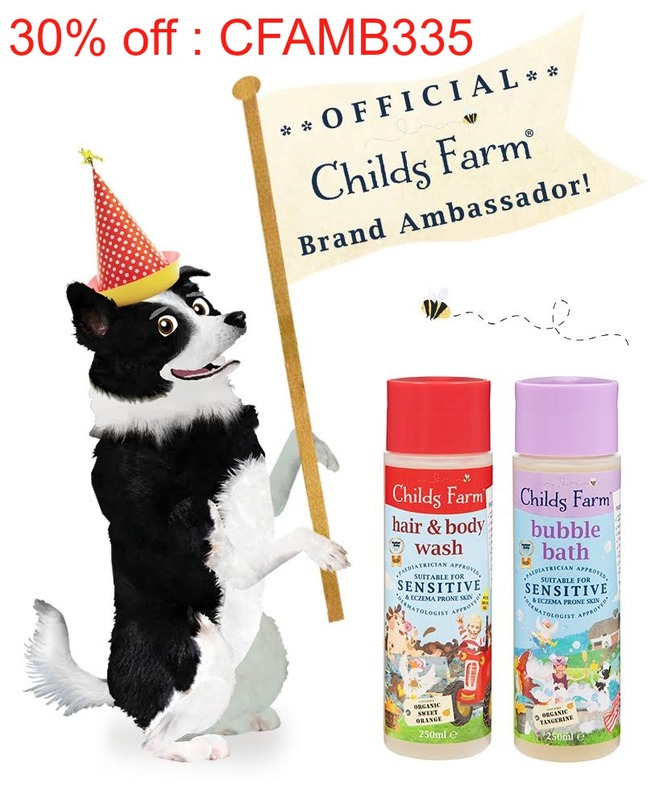 When I had Oliver I took normal size products, like shampoo and this obviously took up so much space. 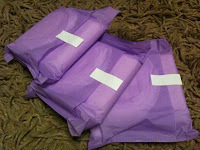 I found always ultra pads better than supermarkets 'maternity pads' after having Oliver so I have put 3 of these in too. 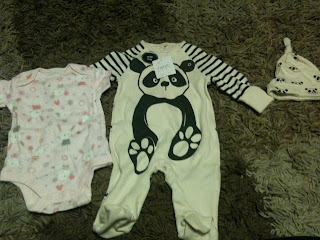 Nightwear: I took a while to find maternity nightwear I liked as I wanted something to last, fit me now and still usable afterwards so I went for a 2 pack of nursing nighties (which also fit my bump) from Mamas and Papas. 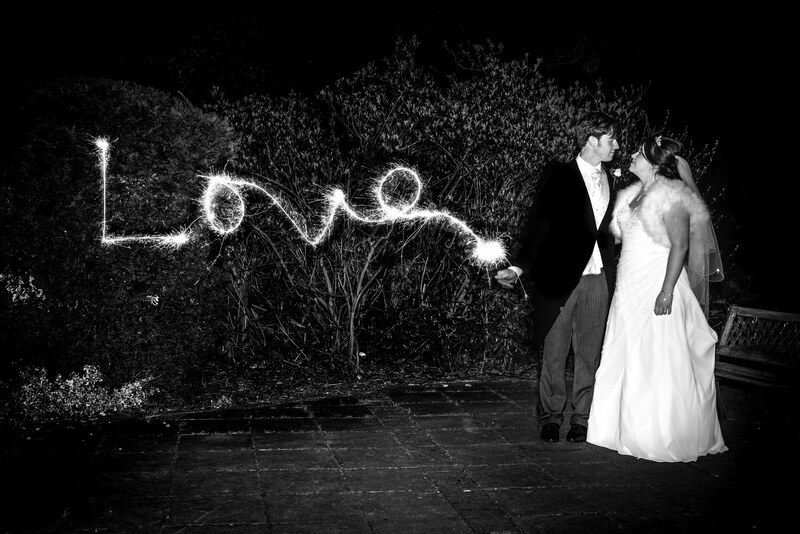 They are currently in the sale at £19 usually £38. I have started wearing the stripey one but I have packed the plain navy one in my hospital bag already as I always feel nicer in something new, obviously I am keen to feel 'nice' after labour. 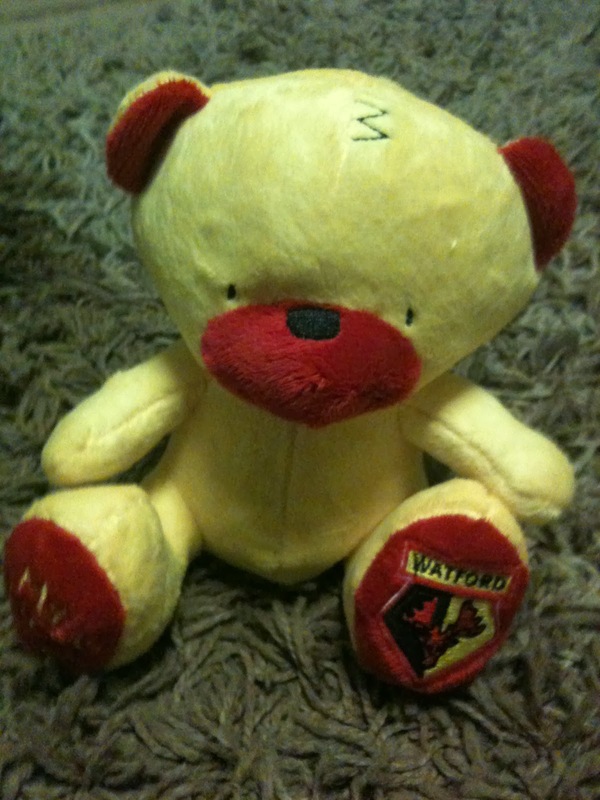 Watford FC teddy - Baby's first bear which Oliver will give to her when he first meets her. Michael is a Watford fan! 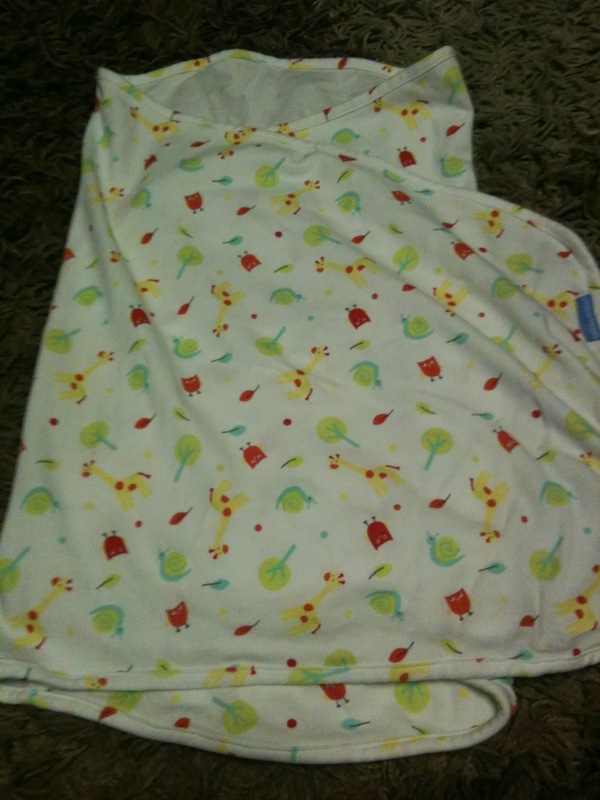 Gro swaddle - we have a puckababy but I had an awful feeling we would lose it in hospital so we are going to keep that for first night at home and use this one in the hospital as its still lovely. 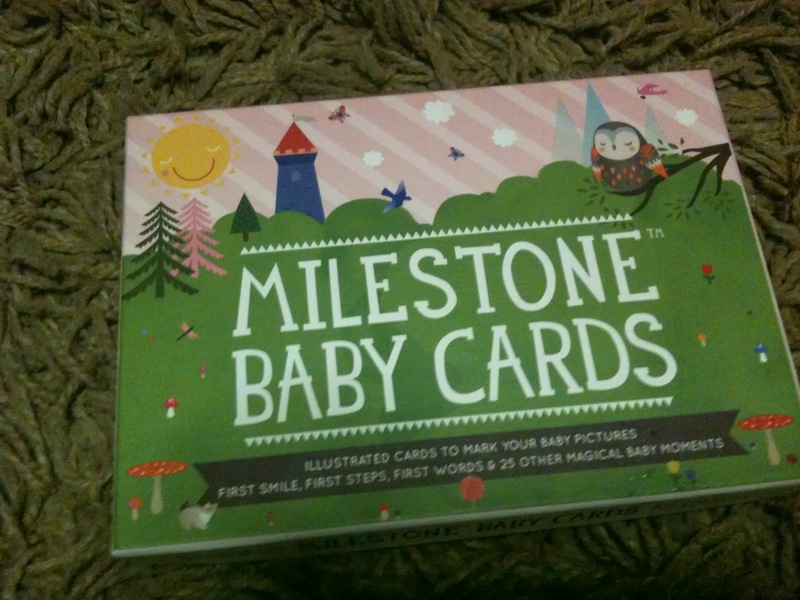 I love these baby milestone cards and I want to take the first one straight away so I've also packed these. 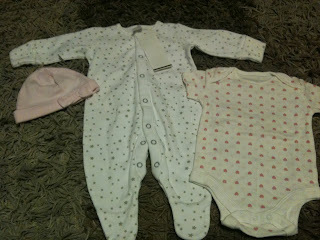 Baby's first clothes - I'm not going to take lots because Michael can always bring in more if it's needed. Space is limited in hospitals and you don't want to pack so much that you have to literally hunt through a suitcase to find what you need - trust me, I've made that mistake! 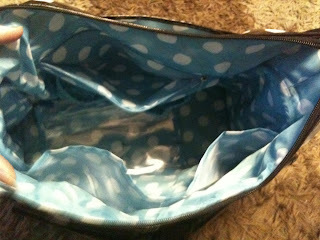 I've got lots in this bag but guess what - there's still space! I'm still looking for a lightweight dressing gown to pack in my hospital bag too, I'd prefer a darker color but so far I haven't found one. In addition to this bag I will have another smaller one filled with sweets, treats and drinks to keep Michael happy and to keep my energy up. 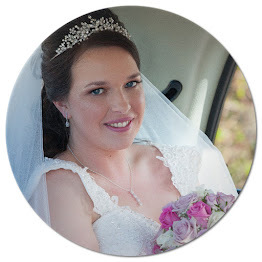 I had a quick labour last time but I might be in labour for a while this time so its best to be prepared and it avoids Michael having to leave me to find something to eat! What's your excuse now? hehe. 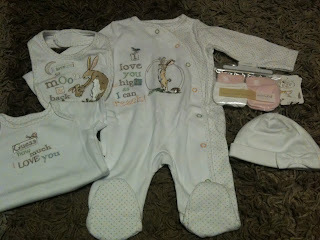 Michael will have a "going home" bag to bring to the hospital for me which will have my going home outfit in which will be a comfy maternity jumper and a pair of maternity leggings, as well as a spare for Baby Girl incase she needs another sleepsuit, a little light cardigan and her Puckababy GoGo. I'm not going to need these items until its home time so I don't see the point in taking up space in my bag with them. So as you can see The Miracle Pre-packed hospital bag has meant I can concentrate on the personal items I have enjoyed picking to put into my bag while knowing that I don't have to worry about forgetting something essential to my hospital stay. The Pre Packed Hospital Bag is £69 and you can find more information here - Click here! Please note that this bag was sent to me for the purpose of reviewing. All of the opinions are my own and I will be reviewing this bag again afterwards to tell you how useful I found it & if it really did fit everything I needed.